Many in our churches know very little about the basic doctrines of the Christian faith. 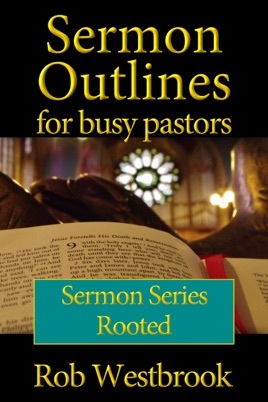 Teach your church the essential doctrines of the Christian faith using the 15 complete sermon outlines found in Sermon Outlines for Busy Pastors: Rooted in the Faith. Preach on the importance of the Bible, the nature of God, the Trinity, Prayer, Angels, Demons, and Spiritual Warfare, Baptism and Communion, Sin, Jesus Christ, Resurrection and Ascension, Becoming a Christian, Sanctification, Perseverance, and Assurance, Death, the Return of Jesus, the Final Judgment, and Heaven. There are 15 sermon outlines, covering the basics of Christian theology. These sermon outlines are much more than simple, one line points, rather, they are complete sermon outlines with great detail, ready for you to preach this weekend.